The following paper will be presented at the 54th annual Society of Cinema and Media Studies conference in spring, 2014. 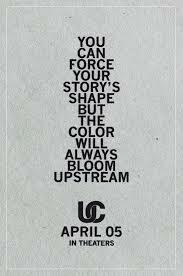 This paper analyzes Shane Carruth’s Primer and Upstream Color, focusing on themes of exploitation, escape, and the virtual end of late capitalism. By reading the film in contrast to Frederic Jameson’s famous quotation in Seeds of Time: “it seems easier for us today to imagine the thoroughgoing deterioration of the earth and of nature than the breakdown of late capitalism; perhaps this is due to some weakness in our imaginations,” I argue that Carruth’s films are an explicit refusal of this imaginative weakness in a time of overproduced and over-budgeted apocalypse films (i.e. World War Z, After Earth, Oblivion, etc.). The narratives of both films, while significantly different in content and theme, share a cyclical structure that both mirrors the exploitative character of capital in everyday life and offer lines of flight from patterns of exploitation that drive the plot of the films, respectively. It is thus an analysis of the function of the narrative cycles and their breakages that form the body of this paper. Guiding my argument, however, is the underlying claim that Carruth’s films are unique in their imaginative scale and narrative outcome. Carruth, with both Primer and Upstream Color, imagines the end of late capitalism rather than the end of the world, repositioning one of the most common intellectual narratives of the contemporary moment. As I conclude this paper, then, I draw out the importance of the cinematic refusal to acquiesce to either the blockbuster apocalypse genre or the defeatism of contemporary cultural theory. What Carruth’s films propose is precisely an alternative mode of thinking, likened to Robert Sinnerbrink’s characterization of ‘film-philosophy,’ and thus a means of countering the very limits of our social, political, and economic horizons.